Prina chose two houses built in Los Angeles during the early 1940s by R. M. Schindler and since demolished. 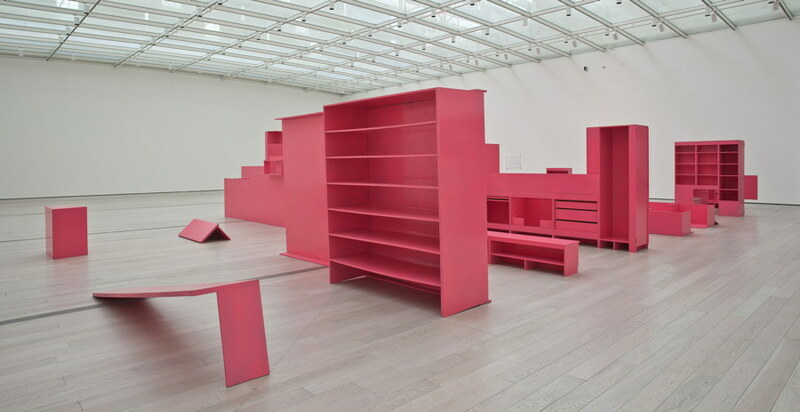 Using surviving plans and photographs, he had copies made of the unit furniture, which Schindler designed to be arranged to follow the lines of the room. 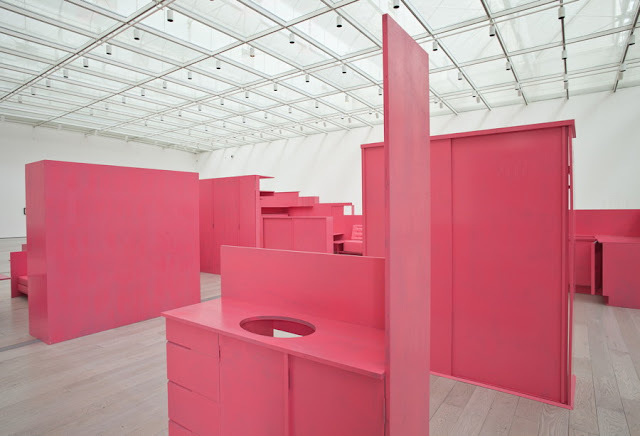 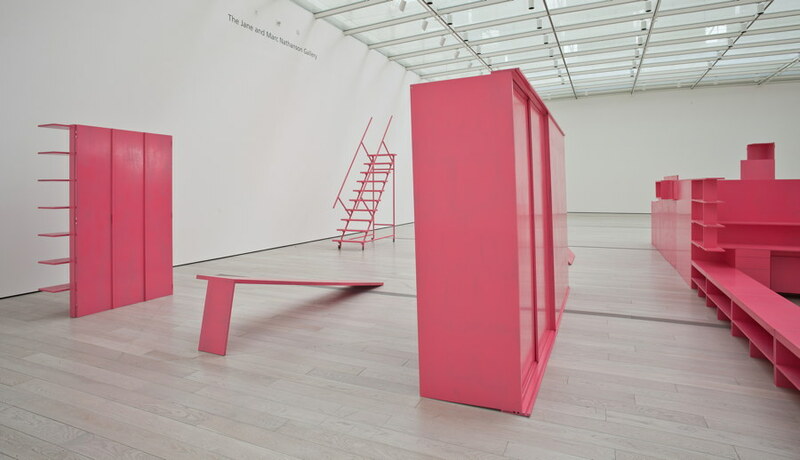 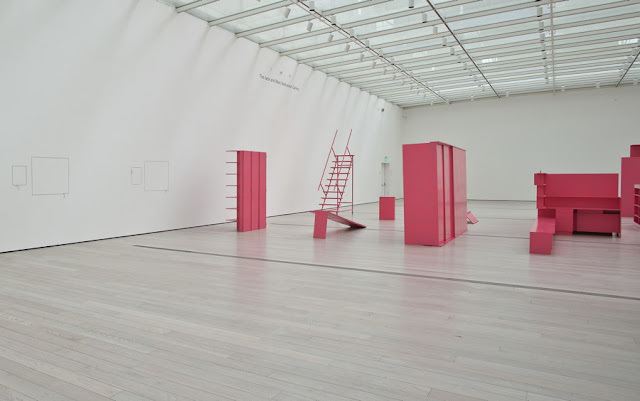 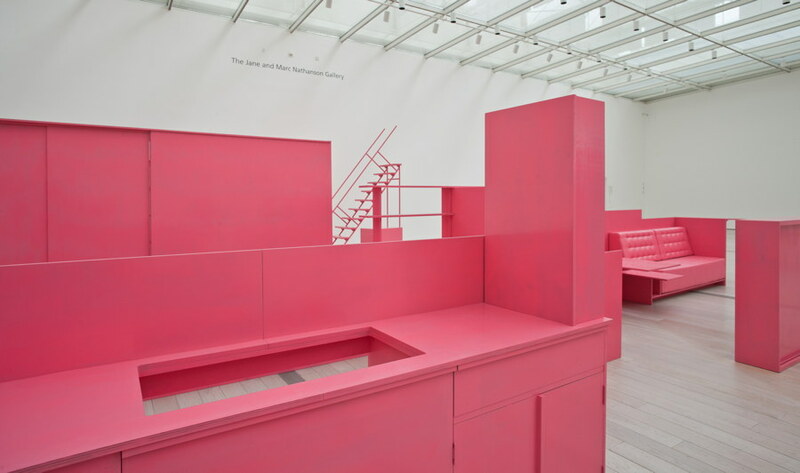 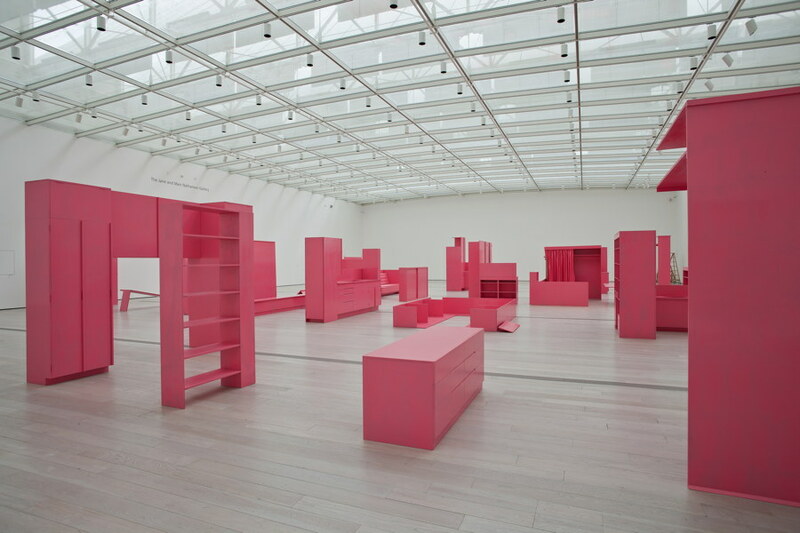 The resulting installation at LACMA consists of twenty-eight objects that Prina painted pink using Pantone Honeysuckle 2011 Color of the Year and restaged in a grid pattern.